The Humane Education Coalition's podcast, Connected Roots, is an acclaimed venue for humane news, insights, education tips, resources, and more. 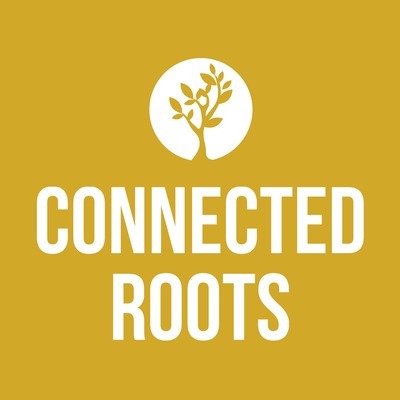 Connected Roots features inspiring interviews and stories from experts in the field of humane education. On episode 14, we welcome Nicky Wetzelberger, Community Outreach Director at Days End Farm Horse Rescue (DEFHR). For 30 years, DEFHR has been making a difference for horses throughout Maryland in the United States. Their mission is not only to rescue and rehabilitate suffering horses, but to prevent abuse and neglect through education and community outreach. DEFHR offers a wide variety of educational programs and internships, providing opportunities for experiential learning. DEFHR also shares online resources for learning about equine welfare, rescue, and rehabilitation. Listen to our latest episode of Connected Roots to learn about DEFHR's history, unique education programs, and inspirational stories of success with both humans and horses. It was an absolute pleasure to speak with Dr. Marc Bekoff, professor emeritus of Ecology and Evolutionary Biology at the University of Colorado, Boulder and author of many essential books on animal behavior and our relationships with animals. Marc is not only a trusted voice for non-human animals, he is also a steadfast supporter of humane education. Listen to our latest episode to learn more about compassionate conservation, Jane Goodall's Roots & Shoots program, and Marc's perspective on humane education. You'll also hear some helpful tips from Marc's latest books, Canine Confidential: Why Dogs Do What They Do, and Unleashing Your Dog: A Field Guide to Giving Your Canine Companion the Best Life Possible (with Jessica Pierce). It was a privilege to talk with Jessie Miller, the founder of EPIC Outreach and author of two humane-themed children's picture books. EPIC Outreach is a nonprofit organization with a mission to create a kinder world for people, animals, and the planet by inspiring compassion for all things. Based in Jacksonville, Florida, EPIC Outreach offers humane education and other outreach services to make a difference for animals and people in need. Listen to our latest episode of Connected Roots to learn how EPIC Outreach is positively impacting people and animals in their community. You'll also learn about Jessie's books, Chance: Wings of Hope and Winnie: A Wet and Windy Adventure. On episode 11, we welcome Lisbet Chiriboga, Program Strategist for TeachKind. As the humane education division of PETA, TeachKind helps schools and educators promote kindness and compassion for animals through free lesson plans, classroom presentations, materials, advice, online resources, and more. TeachKind believes teaching kids to have empathy for all beings is a big step toward building a better, more compassionate world. Listen to our latest episode of Connected Roots for helpful advice, resources, and inspiring stories of humane education in action. You'll also learn how TeachKind cultivates relationships with teachers and reaches many thousands of learners annually. It was wonderful to talk with AJ Chlebnik, Education Programs Manager at PAWS near Seattle, Washington. PAWS is a champion for animals - rehabilitating injured and orphaned wildlife, sheltering and adopting homeless cats and dogs, and educating people to make a better world for animals and people. PAWS envisions a world where all people recognize the intrinsic value of animals and consistently make choices that demonstrate compassion and respect. Listen to our latest episode of Connected Roots to learn about PAWS' remarkable education programs and what makes them so effective. On episode 9, we welcome Katie Cantrell, Founder and Executive Director of the Factory Farming Awareness Coalition (FFAC). The mission of FFAC is empowering people to help save animals, the environment, and our own health through our daily food choices. From social justice to public health to sustainability, factory farming is one of the most serious issues facing the planet. By educating young people and stakeholder audiences about the realities of factory farming, FFAC works to build both a consumer base for a sustainable, compassionate food system and an informed citizenry that supports cultural and legislative change. Listen to our latest episode to learn about FFAC’s transformative presentations, and discover relationship cultivation strategies to strengthen and grow your own education program. Kim Korona joins us on Connected Roots to share her experiences at HEART - Humane Education Advocates Reaching Teachers. HEART’s mission is to develop a generation of compassionate youth who create positive change for animals, people, and the natural world. They offer in-school programs, teacher trainings, consulting, and a wide range of humane education resources for educators. ​Listen to this episode to learn about all of HEART's resources, valuable advice for educators, heartwarming stories of humane education in action, and HEART's recent selection for the Excellence in Humane Education Award. On episode seven, we welcome Elischia Fludd, Founder and Executive Director of EOTO World. EOTO World is a volunteer-driven e-organization that provides activist resources, peace-building education, and skill building sessions for global youth ages 18-35 who are interested in the international agendas to eradicate poverty and empower a culture of peace. EOTO World seeks to normalize quality of life inspired by a culture of peace, human rights, and economic sufficiency. In this episode, you'll learn about the impact of EOTO World's global efforts, hear a great story about their empowering programs, and find out how you can get involved with the organization's exciting partnership in the UN SDGs Action Campaign. It was a pleasure to speak with Diane Rose-Solomon, founder of Pets People Planet Connection and author of several humane education books. Using her books as a tool, Diane helps educators and parents teach children about compassion, responsibility, and kindness. Diane's vision is to connect people, animals, and community all over the world to foster a Pets People Planet Connection. Listen to this week's episode of Connected Roots to learn more about Diane's inspiring work in humane education, including the many education resources available through her Team Kindness program. On episode five, we welcome Nicole Forsyth, President and CEO of RedRover. The mission of RedRover is to bring animals out of crisis and strengthen the bond between people and animals through emergency sheltering, disaster relief services, financial assistance, and education. Using innovative solutions to prevent animal cruelty and neglect, RedRover is educating youth and building a more compassionate future through the power of empathy, resilience, and the human-animal bond. ​In this episode, you'll learn about RedRover Readers, the new Empathy App, and the recent addition of Kind News Magazine to RedRover's remarkable collection of programs and resources. It was a privilege to talk with Shilpa Jain, Executive Director of YES! ​This social-profit organization connects, inspires and collaborates with changemakers to join forces for thriving, just, and regenerative ways of life for all. YES! helps young leaders to create deepened alignment between their core values, their lives, relationships, and social impact. Through events, Jams, a robust website, and a support network for young leaders from more than 65 nations, YES! is helping a generation to bring visionary leadership to the transformation of our world. ​Listen to our latest episode to learn more about this inspiring organization's history, transformative programs, and beneficial resources. On episode three, we welcome Kristina Hulvershorn, teacher, humane educator, and author of the recently released children’s book, "Secret of the Troublemakers." ​Kristina is the Indianapolis Program Manager at HEART (Humane Education Advocates Reaching Teachers), and the Director of Humane and Restorative Programs at Peace Learning Center. ​Peace Learning Center educates, inspires and, empowers people to live peacefully. Their vision is to build a community of peace where respect is primary and justice is real. They work directly with schools, community nonprofits, businesses, juvenile correctional facilities, and faith groups to facilitate peace education sessions. HEART’s mission is to develop a generation of compassionate youth who create positive change for animals, people, and the natural world. HEART’s services are specially designed to provide a combined focus on human rights, animal protection, and environmental preservation. They are the only full- service provider of humane education in the New York City, Chicago, Indianapolis and Portland areas, and they offer our services at no cost to public schools and non-profit agencies. It was our pleasure to spend some time with Kristina to learn more about her important work and discuss her new book. Listen to our episode to hear how Kristina is making a difference in our world, and how her book is redefining the term, "troublemaker." We're delighted that Emilie and Dana Buchwald of The Gryphon Press could join us on Connected Roots! The mission of The Gryphon Press is to publish beautifully illustrated children's picture books about the vital issues that animals - domestic, wild, and farmed - face, and to present those issues in such a way that children gain insights into and develop empathy for every animal life. The Gryphon Press titles showcase a range of important issues and ideas in humane education, including responsible pet guardianship, animal abuse and neglect, empathy development, and adoption and fostering. Additionally, many of their titles feature free, downloadable teaching guides. Learn more about The Gryphon Press and how their books have changed the landscape for humane education and empathy development in young people around the world. On our very first episode, we welcome Dr. Stephanie Itle-Clark, President and Chief Academic Officer of the Academy of Prosocial Learning (APL). APL is a hub for education professionals looking to bring student-centered learning, social and emotional growth, and critical thinking into their work. APL offers the premier humane education credentialing program, the only national registry of humane education specialists, and helps clients achieve their goals by providing professional development, curriculum frameworks, and guidance they need in order to be successful. Stephanie joins us on Connected Roots to share why humane education is so important, how APL is contributing to professionalizing humane education, and to provide some valuable resources for those working in the field.